A little over a year ago I stopped using Young Living shampoo and started using one from another company. I know, really dumb idea. I did it because I wanted my husband to try a product they had for hair loss. I was buying the product for Mark so, why not try their shampoo? It was totally natural so I thought I would try it. Well, in the past few months I have been noticing the “old person smell”. I am familiar with the smell because of being around several elderly people over the years. I am approaching 60 but I really don’t want to smell like that. I kept getting a whiff of the smell and I knew it was ME! Where is that coming from? I started sniffing and trying to track it down. It wasn’t anywhere else on my body but, it was really strong in my hair. I decided to do a Google search on “old person smell” to try and figure out what causes that smell. I learned that, as people age, there is an increase of a chemical compound called nonenal in the body. The process typically begins around age 40, and occurs in both men and women. As adults are maturing past this age, the skin ages, causing its natural antioxidant protection to decrease. This ultimately results in greater oxidation of fatty acids. As women mature and reach the stage of menopause, hormonal imbalances and changes can also effect the production of nonenal. As I was reading the information on nonenal, I noticed that there was a Japanese product with persimmon extract that dissolves Nonenal. I also learned that the nonenal compound is waxy and it takes weeks of using the persimmon soap to totally get rid of the smell. Interesting! I have also noticed a waxy feel in my hair. It felt like a residue that wasn’t getting washed out. I assumed the shampoo was leaving a residue, but now I realize it was just the shampoo not doing as well on the nonenal as the Young Living shampoo I had been using. That got me thinking about why the smell was in my hair but not anywhere else. That’s when I realized the reason my hair smelled but not my body is because I had stopped using Young Living’s shampoo with essential oils in it. Still using oils all over everywhere else. Citrus oils are great for dissolving gummy substances like what is often leftover when you remove price tags and labels. It is no surprise it worked so will removing the gumminess from my hair. I use Thieves Bar Soap in the shower. I think that is why I didn’t have that smell anywhere but in my hair. 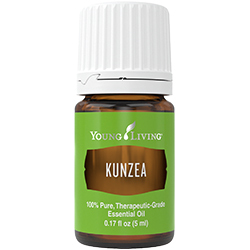 It was a lesson learned and it helped me all the more appreciate Young Living’s Essential Oil infused products. 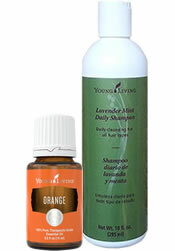 Click here for more information on Young Living Shampoos and Conditioners. 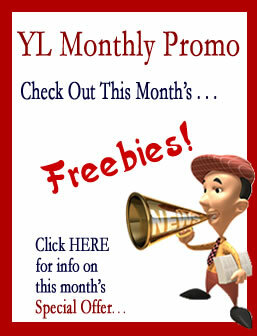 Another year has gone by and another Young Living Convention has come and gone. Convention time is always full of excitement. We learn lots of new things and Every year a bunch of new awesome products are released. 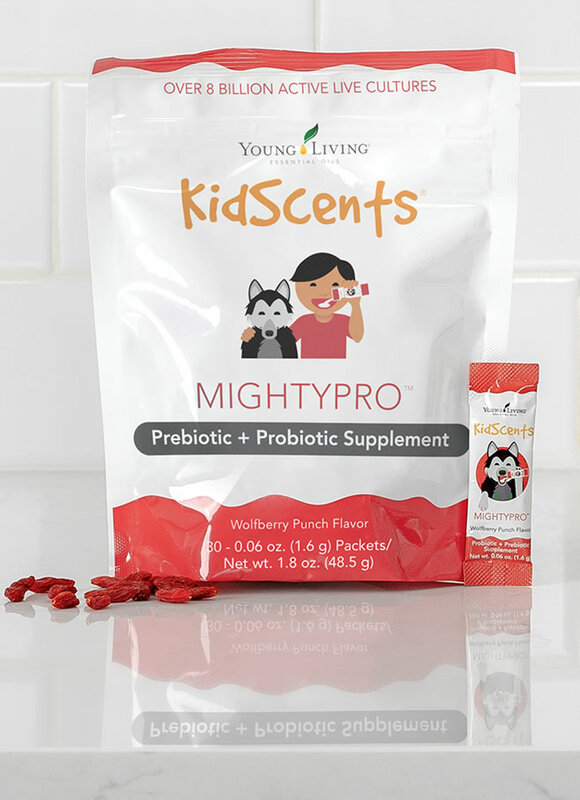 Here are a few of the products released for Young Living Convention 2018. 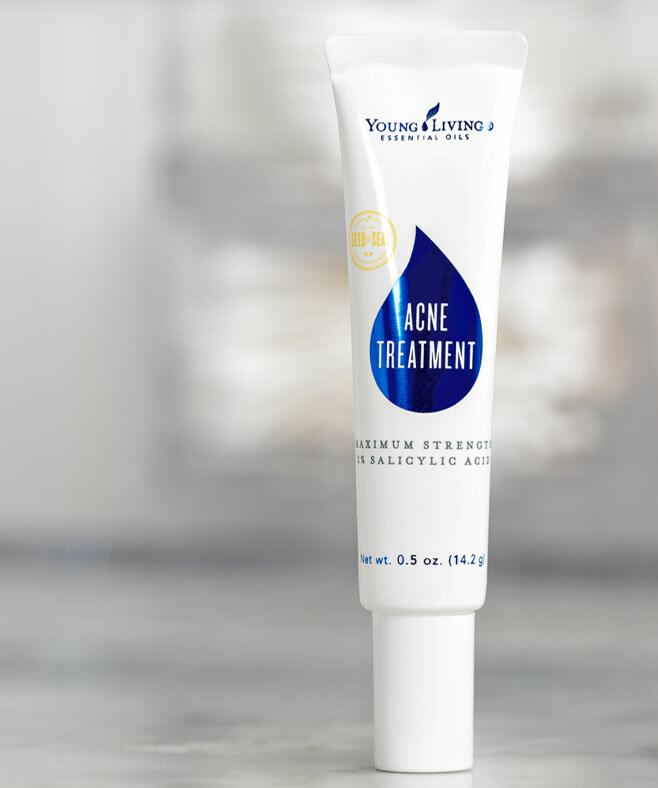 This Maximum Strength Acne treatment is the newest member of our OTC (Over the Counter) product offerings. With the powerful combination of 2 percent salicylic acid from Wintergreen and Tea Tree and Manuka essential oils to clear acne blemishes, pimples, and blackheads, Tea Tree essential oil helps cleanse your skin, while Manuka oil reduces the appearance of blemishes. Some acne treatments leave skin feeling tight and dry, but with the addition of aloe and chamomile extracts, Young Living’s Maximum Strength Acne Treatment fights blemishes while keeping skin soft, smooth, and moisturized. Finally, a powerful acne treatment that’s gentle on your skin! Formulated without sulfates, phthalates, petrochemicals, parabens, dyes, synthetic fragrances, or synthetic preservatives. 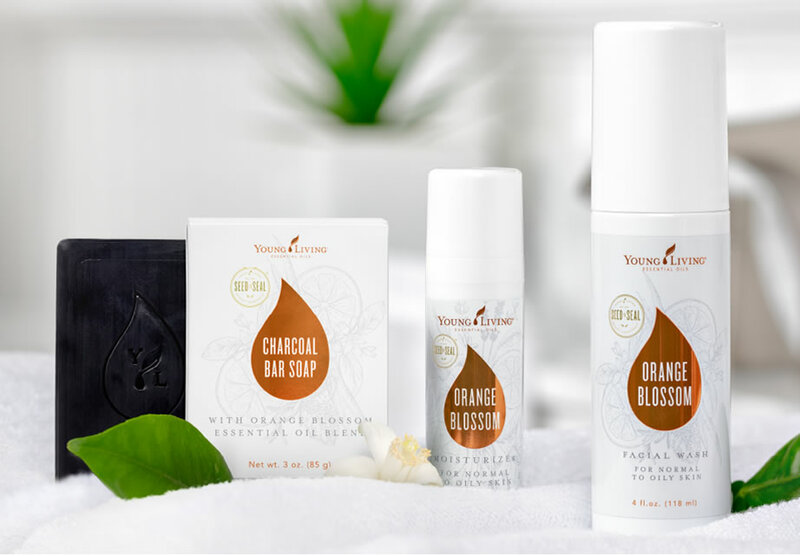 Energize your beauty routine with Young Living’s Orange Blossom Facial Wash. Made from 100 percent naturally derived ingredients, this gentle cleanser reduces surface oils and removes dirt and makeup without making your skin feel overly dry or tight. Orange Blossom Facial Wash is hypoallergenic and leaves behind no pore-clogging residue, so it will perfectly complement your daily skin care regimen. After use, round out your citrus-kissed day with Orange Blossom Moisturizer. Treat your skin to a deep drink of hydration with Orange Blossom Moisturizer. Made to benefit oily skin, this moisturizer improves the appearance of skin without irritation from harsh chemicals. Our moisturizer uses only naturally derived, plant-based ingredients that are noncomedogenic and vegan-friendly. Orange Blossom Moisturizer helps skin maintain optimal moisture balance, controls excess oil and shine, and preps your face for makeup with its natural-looking matte finish. Get clearer skin by pairing it with Orange Blossom Facial Wash.
Give the delicate skin on your face the gentle care it needs with Mirah Luminous Cleansing Oil! Formulated with essential oils like Sandalwood, Rose, and Jasmine and pure carrier oils, including jojoba and argan, this facial cleanser removes pore-clogging impurities without stripping away the natural oils your skin needs. Traditional cleansers are often harsh and leave skin thirsty, encouraging it to produce pore-clogging grease. Mirah Luminous Cleansing Oil uses cleansing and clarifying oils to remove the impurities, improving skin texture and leaving you glowing! Mirah Lustrous Hair Oil is a luxurious, multitasking hair treatment formulated to help keep your locks soft and shiny, no matter your hair type. It is infused with Argan, Monoi, and Abyssinian oils, and your hair will love the hydration it gets from the fatty acids and vitamin E, as well as the luster and brightness. Lightweight and fast absorbing, Young Living’s new hair oil also has a light, pleasant aroma and will leave your hair sleek and glossy, not greasy. 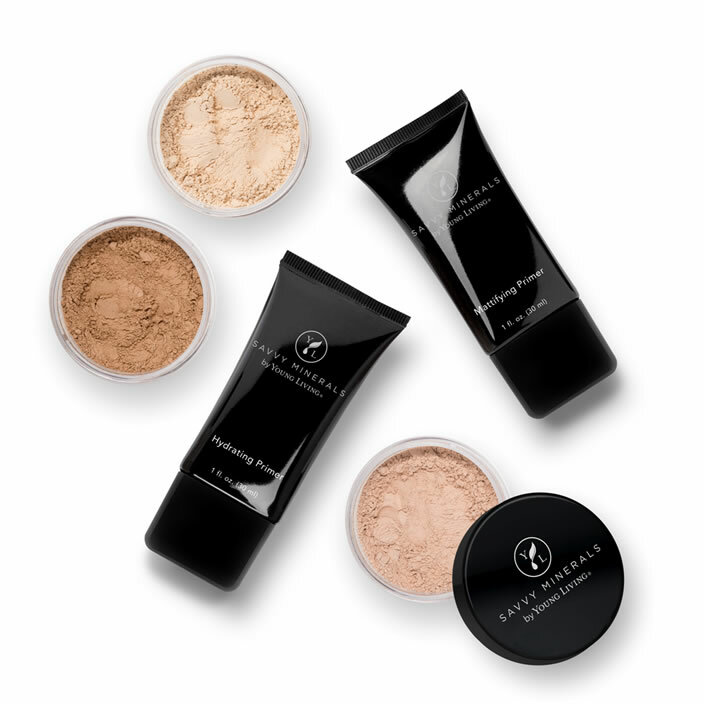 Hydrate your skin and create a flawless, smooth surface with Savvy Minerals by Young Living Hydrating Primer. You’ll love how evenly your makeup applies—and how long it stays in place. If you care about healthy living, you know that the products we use go way beyond the intended use. What you do today in the name of beauty may affect your health in the years to come. Our skin is our largest organ; it is also the most noticeable. The skin acts as a protective barrier for our body. Many people don’t realize how absorbent the skin is. They use all kinds of products that are full of harsh chemical ingredients, which are absorbed by the skin. Two common ingredients in shampoo, bath products, toothpaste and other skin care products are sodium laurel sulfate and propylene glycol. If you are using products with these ingredients, you are literally soaking and absorbing these chemicals into your body on a daily basis. Every chemical we come in contact with can end up compromising our health. 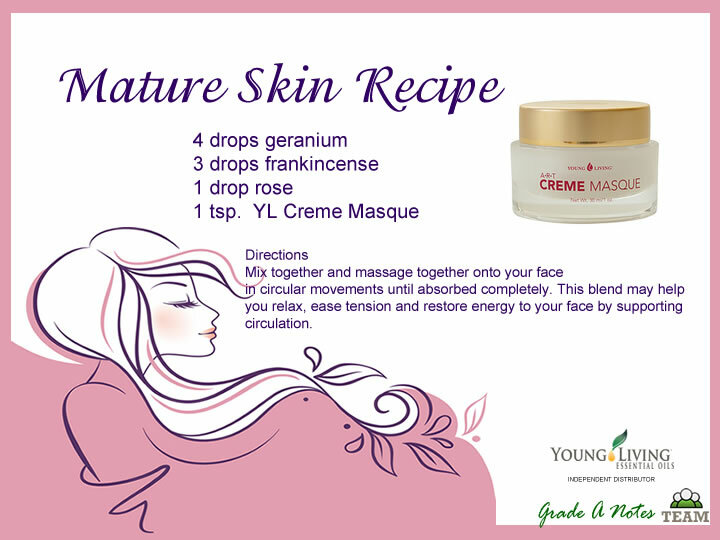 Below are some recipes you can make to use along with Young Living’s personal care products. Mineral or floral water (I add 5 droppers Mineral Essence to purified water) – enough to form a paste Mix the clay and water to form a smooth consistency. Add the essential oils. Mix well. Apply with fingertips, avoiding the eye area and hairline. Leave on 10-15 minutes but do not allow to completely dry and crack. Remove the mask with a warm wet wash cloth. geranium, cypress, bergamot, cedarwood, clary sage, eucalyptus, juniper, lavender, rose, patchouli, petitgrain, sandalwood, tea tree and ylang ylang. 15 ml organic coconut oil. In a ceramic or wooden bowl with a ceramic or wooden spoon blend ingredients. Store in sealed glass container. Use 1 or 2 cups to the bath water. Combine coconut and beeswax pellets in a heat proof glass bowl or glass measuring cup. Place bowl or measuring cup in a saucepan filled with an inch of water. Heat mixture over medium heat, stirring occasionally until completely melted. Stir in corn starch, baking soda and one vitamin E capsule. Remove from heat and add essential oils. Quickly pour mixture into an empty deodorant container. Wait for mixture to harden and cool completely before using. 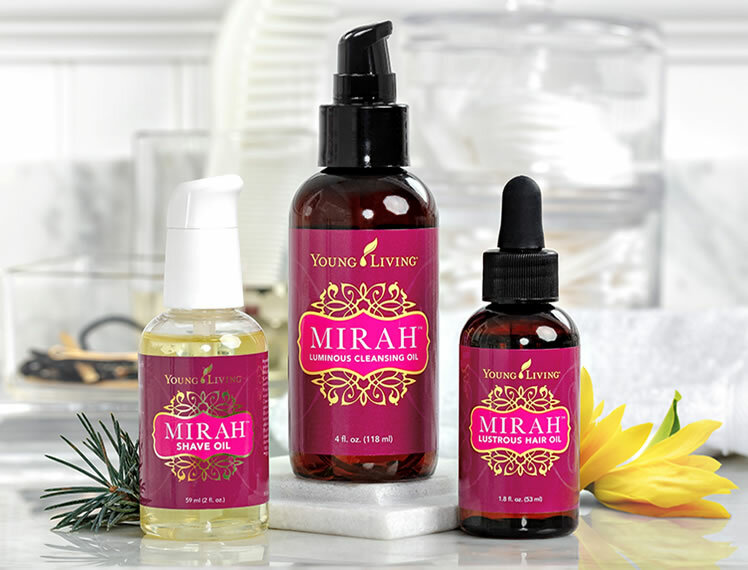 Young Living has a full line of personal care products including shampoo and conditioners, bar soaps, toothpaste, bath and shower gels, skin care, deodorant and many other natural and healthy personal care products. Are You Poisoning Yourself On a Daily Basis? More and more people are looking to natural health products as a way to support a healthy body. We are all interested in preserving our health. We try to eat right, get plenty of rest and exercise and use natural health supplements. With all our efforts on natural health, many times people overlook one area of health that can be a serious hazard to their health. Products that your family use every day contain ingredients that studies have linked to serious health issues. The solution is as simple as reading the labels on your personal care products and replacing them with safe ones. One of the worst and most widespread of these dangerous ingredients is sodium lauryl sulfate (SLS). SLS is absorbed through the skin and retained in the brain, heart and liver. Studies show that SLS also affects other areas in the body, such as your child’s still developing eyes. SLS has been shown to retard the proper development of eye tissues, cause cataracts, slow the healing of other eye problems and even cause blindness. SLS doesn’t even have to get in the eyes to cause eye damage. It does as much harm when it is absorbed through the skin. Many so called “natural” products also have SLS as an ingredient. They may have a label that says, “100% natural ingredients.” Just because it says natural, doesn’t mean it’s good to put on your body. Poison ivy is natural, but I sure don’t want that on my skin. The intended use of SLS is as an ingredient car wash soaps, engine degreaser and garage floor cleaner. According to the Material Safety Data Sheet for SLS, exposure can lead to a burning sensation, coughing, wheezing, laryngitis, shortness of breath, headache, nausea and vomiting. It also specifically warns that SLS may be harmful if absorbed through the skin and that prolonged or repeated exposure should be avoided. Whenever I write an article on toxic ingredients in personal care, I always get a few people emailing me with why I am wrong about ingredients in shampoo. Let me ask you, if sodium lauryl sulfate is so safe, why does the Material Safety Data Sheet say to wear rubber suit, goggles and gloves when handling? Why all the warnings about liver damage and a long list of other issues? The dangers of SLS are no secret to the medical community. In fact SLS is used as a skin irritant in medical labs. Scientists use it to purposely harm the skin in order to test healing agents. Sodium lauryl sulfate is used in most shampoos and toothpaste. Go to the grocery store and try to find shampoo or toothpaste that does not have sodium lauryl sulfate or sodium laureth sulfate in it. Does your toothpaste have this FDA required poison warning label? You may have to search to find the warning because the companies try to hide it under the ingredients list. The warning may be on the box which you throw away and didn’t even notice it. Did you know that the fastest way into the bloodstream is under the tongue? Nutrients as well as poison can be absorbed directly into the bloodstream through the dense network of blood vessels lining the mucous membrane of the mouth. According to the PHYSICIANS DESK REFERENCE MANUAL, oral delivery is 10 times more efficient than anything that is swallowed. This is because ingredients enter the blood stream directly and are not filtered and broken down by the liver and digestive organs. Do you really want poisons in the products you & your family use? Besides the sodium lauryl sulfate, there is enough fluoride in a 4 oz tube of most brands of toothpaste to kill a small child. What’s worse is that scientists are now linking fluoride to dental deformity, arthritis and allergic reactions. Another ingredient to avoid – propylene glycol, is found in most moisturizers and is commonly used as a humectant (additive to keep products moist) & a preservative. It sounds innocent enough but did you know it’s also a main ingredient in antifreeze, brake fluid, deicers, latex paint and laundry detergent? It is supposed to make the skin feel smooth. While it may appear to moisturize the skin’s surface, it actually steals moisture from the under layers of the skin. Propylene glycol is not only ineffective, it’s dangerous. It is derived from petroleum products. The Material Safety Data Sheets on propylene glycol – warns against contact with eyes, skin and clothing. It also says inhalation can cause irritation of nasal passages. Ingestion can cause nausea, vomiting and diarrhea. Over exposure to propylene glycol can cause liver abnormalities and kidney damage. There are safe products out there. 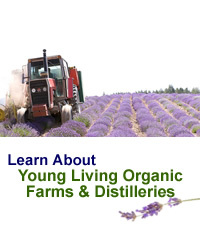 Young Living has a line of safe personal care products without the harsh chemicals, but added benefit of essential oils.